I’m a bit of a yoga nut. 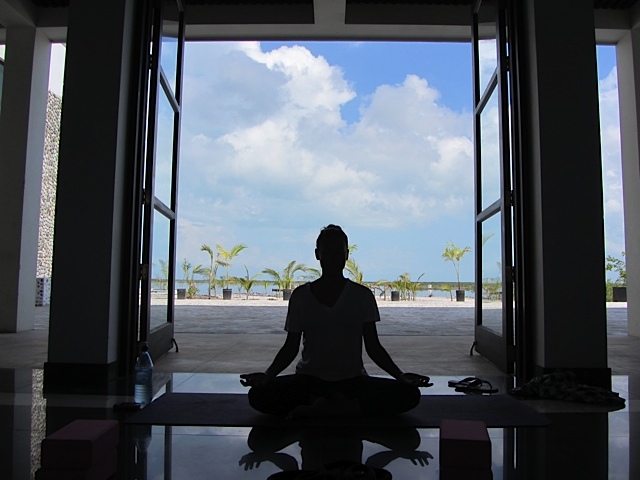 My passion for yoga bloomed in Costa Rica, where my good friend Anna of Pura Vida Yoga Vacations, started a class in a beautiful garden setting. I attended dutifully three times a week and the difference in my body and mind was extraordinary. I love the mindfulness of yoga, the meditation and the physical challenge. My body quickly transformed from my chubby “I just had a baby” physique to the toned, slim and freakishly strong body that it is now (I may be exaggerating a little, but just a little). It has also provided me with a foundation of nonjudgmental and broadminded growth, better posture and proper breathing. 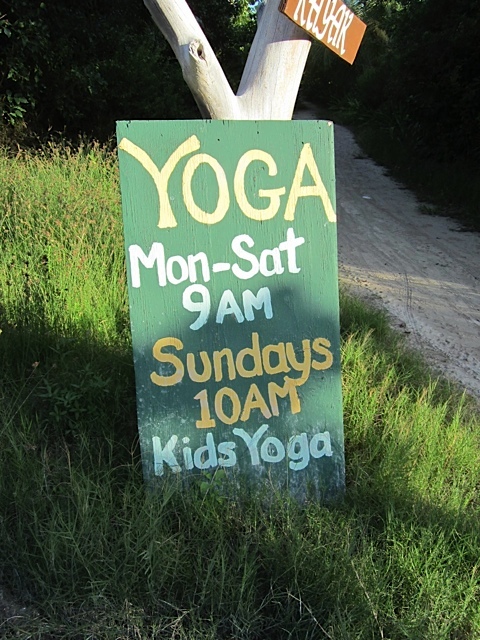 So, when we decided to move to Belize I knew I needed to find a place to do yoga. It has become the foundation of my day, makes me a better wife, mother and business owner, and helps me become a higher quality version of myself. 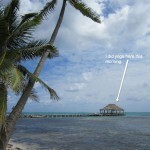 The following are places on Ambergris Caye to do yoga divided into North of the bridge and South of the bridge. 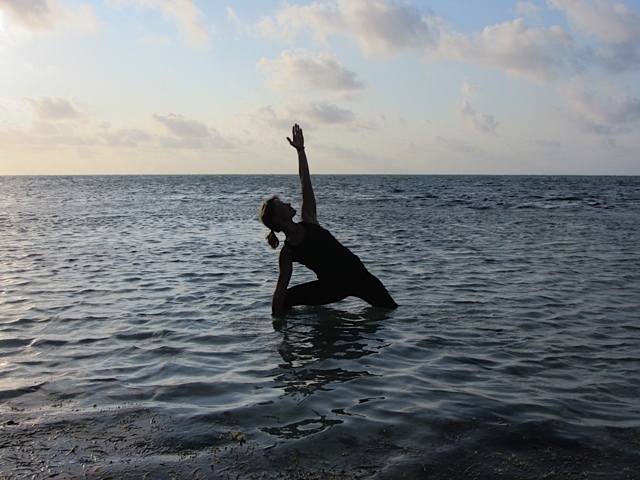 Kirsten moved from Chicago 3 years ago to start a yoga retreat center located on the beautiful Caribbean waters of Belize. Ak’bol is Maya for Heart of the Village. 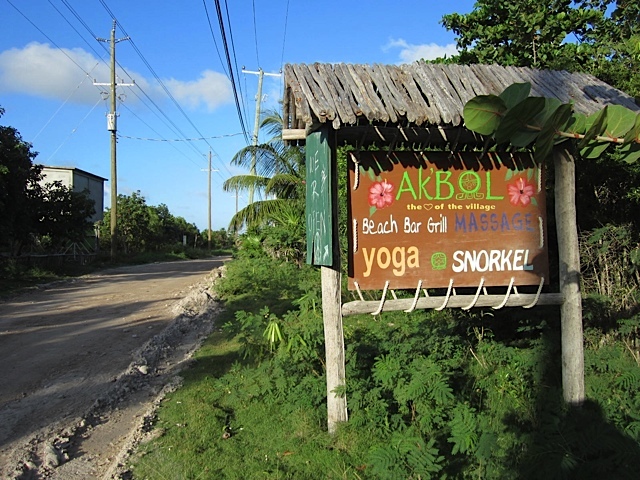 Ak’bol is Belize’s first Yoga Retreat and Family Eco Resort and is located on the tranquil North side of Belize’s largest island, Ambergris Caye. 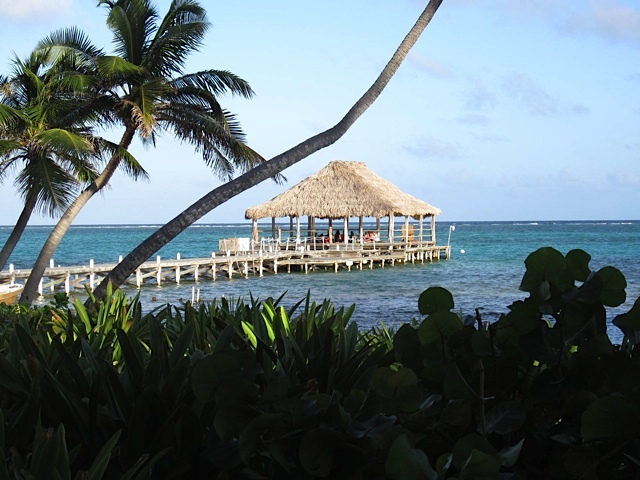 I love coming here because the yoga palapa is located right over the ocean and students look out into the beautiful turquoise waters. 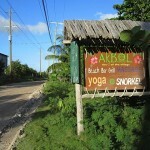 Most yoga sessions are 1 1/2 to 2 hours long at Ak’bol. Since it is a retreat center, there a a number of wonderful yoga teachers from all over the world that come to teach here, which is a special treat. When no retreat is happening, Kirsten herself teaches the class. 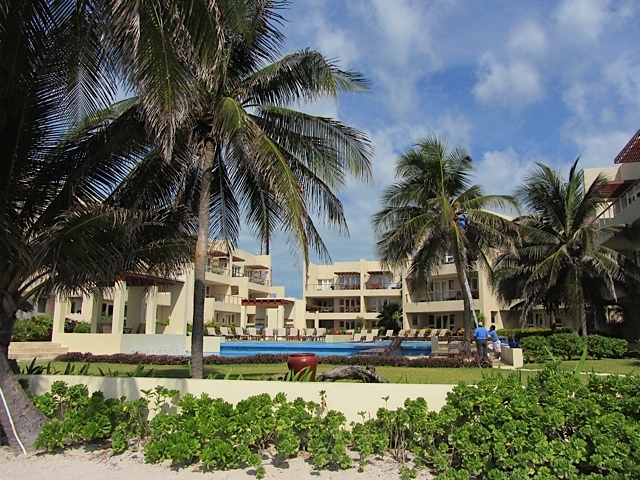 Ak’bol also has a great bar area on the beach that makes perfect banana smoothies and delicious food at reasonable prices, perfect for after class. 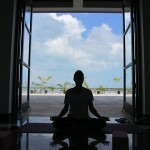 Rachelle, of ChiJunky.com, holds a wonderful yoga class that is perfect for beginners or intermediates alike. 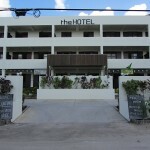 She offers yoga at the new hotel, indiscriminately called “the Hotel”. Her voice is one of the most soothing voices I’ve ever heard and you will be beautifully relaxed and rejuvenated after one of Rachelle’s classes. Rachelle also offers nutrition counseling and clean cooking via her website. 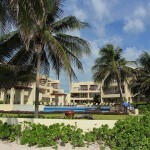 The beautiful Phoenix resort is home to an equally beautiful spa area that is run by Carrie. Carrie is a trained masseuse and a licensed yoga instructor. She also happens to be one of the most delightful people you’ll meet on the island. Beginners will learn proper postures in her class and advanced yogis will be challenged with increasingly difficult variations. 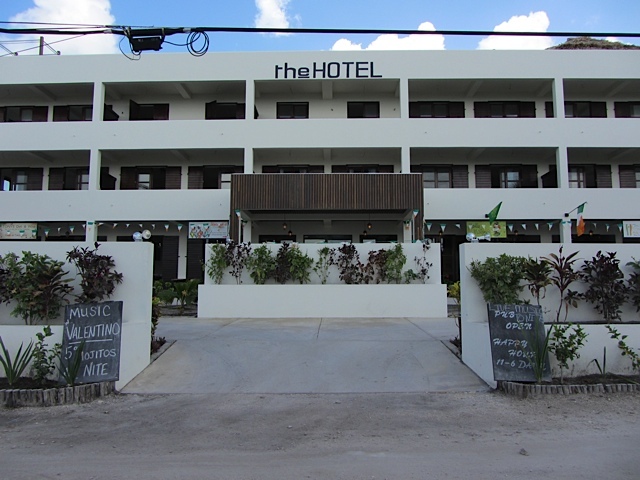 Afterward, you may want to stay for a massage or a facial at the beautiful spa. Although I haven’t gone to these yoga classes during my time on Ambergris, I wanted to include them in this post for those of you staying south of San Pedro Town. 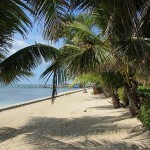 Yoga classes are held in a dedicated yoga room located at the Exotic Caye Beach Resort on the southern tip of San Pedro. 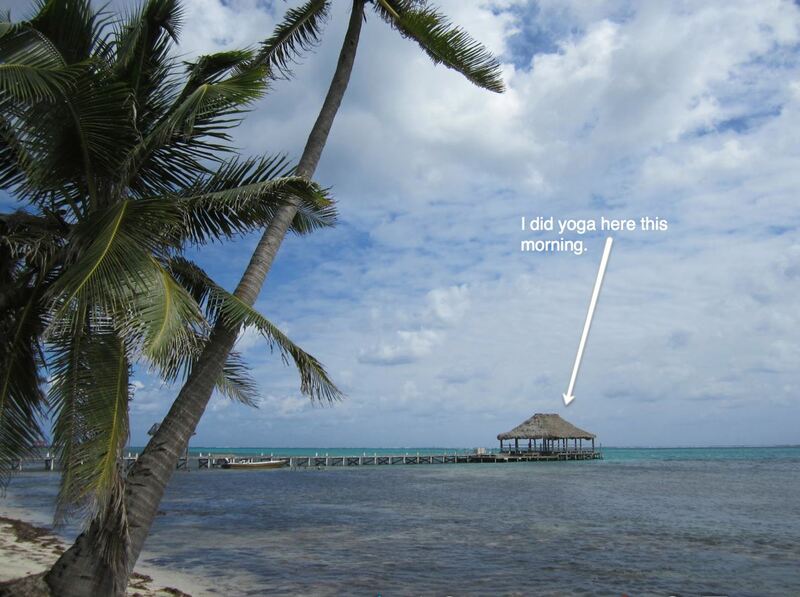 Whether you’re on vacation or you live on Ambergris Caye, yoga is for everyone and it is a highlight of my day. 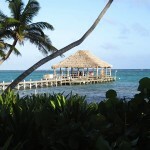 Yoga restores and provides focus for me and Ambergris Caye is a beautiful place to practice it. I’m happy to share this list with you and hope that you spend some time nourishing yourself with yoga on the island. If I’ve forgotten to mention any yoga classes, please put them in the comment section below. 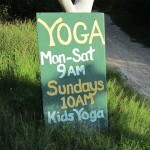 I think I’ve covered all of the organized and consistent yoga classes, but I may have not known of some (gasp!). 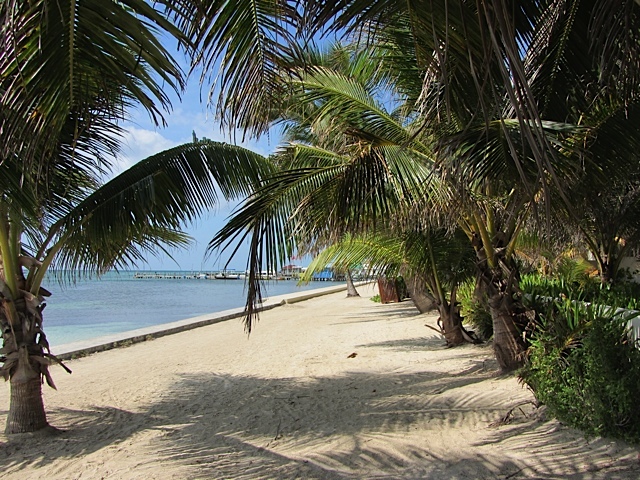 My walk to yoga…I miss it already.